At Southern Lakes Newspapers it’s our mission to publish and deliver products that serve the needs of our readers, advertisers and communities in Southeastern Wisconsin and the Illinois stateline area. We strive to bring you the best in local news, whether it’s in the form of reports from your town hall, features from your neighborhood school, detailed accounts of the Friday night game or the latest information on the fire across town. In addition to bringing the most extensive in local news coverage, we offer area businesses a variety of local and far-reaching advertising products. We publish 20 community newspapers that blanket all of Walworth County and the portions of Racine and Kenosha counties west of I-94. 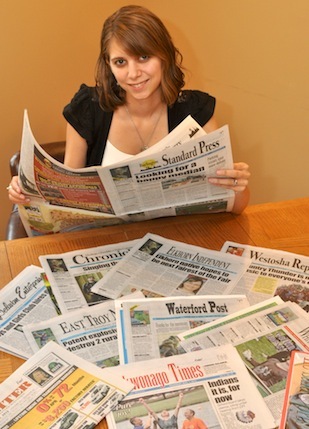 In addition, we publish newspapers that stretch our reach into southern Waukesha and Milwaukee counties as well as the Stateline area of northern Illinois. Our Hi-Liter, Marketplace, Homebuyer and specialty advertising publications offer customers high-circulation and total market coverage in certain segments of the area. To subscribe or for specific questions regarding our news, advertising, printing and publishing services, please call our main office at (262) 728-3411 or click on the ‘contact us’ page for information on how to reach our various local offices.